Republican, Democrat and Labor Candidate for Constable, Fourth Ward. 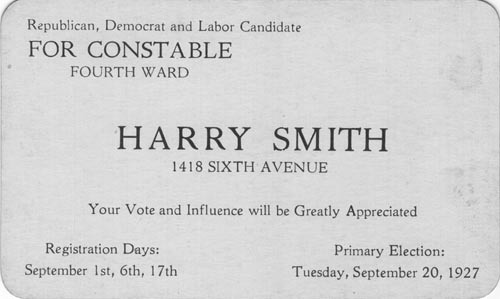 Harry Smith, 1418 Sixth Avenue. Primary Election: Tuesday, September 20, 1927. Your Vote and Influence will be Greatly Appreciated.